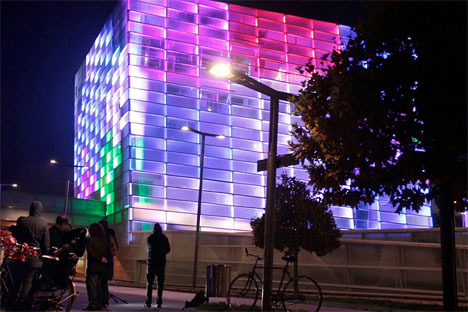 The entire facade of the Ars Electronic Building in Linz, Austria has become the world’s largest playable Rubik’s cube thanks to a color-changing illuminated facade controlled by a 3D-printed device. 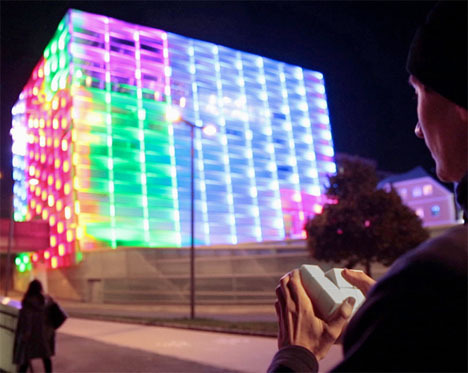 Anyone who wants to try their hand at the ‘Puzzle Facade‘ manipulates the hand-held interface-cube like they would an ordinary Rubik’s cube, and their movements are translated to the building. 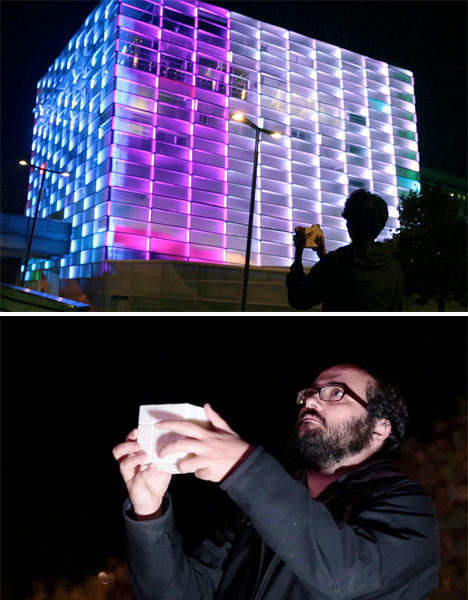 The interactive display, by Spanish artist and designer Javier Lloret, uses bluetooth to connect the cube to a software program that converts the information into color and light. Only being able to see two sides of the building increases the difficulty factor. Of course, if you think you’re skilled enough to try to crack a Rubik’s cube this big, you’d better be pretty confident, because your handiwork is going to be on citywide display. Watch it in action above.